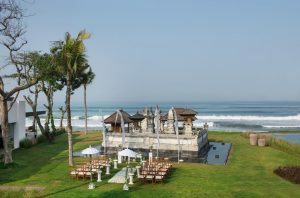 For couples that have set their heart on a destination wedding in Bali, the stylish Alila Seminyak is a must to include on your wedding venue list. Set right on the beachfront overlooking the azure Indian Ocean, with views of the best sunsets in Seminyak, the resort offers a stunning marriage of island beauty and inspiring spaces for the ultimate celebration of love. Allow Alila Seminyak to bring your wedding dreams and fantasies to life, whether in a simple, elegant celebration or a glamorous event with every embellishment. 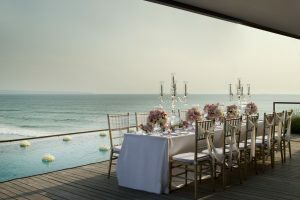 Couples can choose from a bespoke collection of wedding packages, designed to accommodate intimate gatherings of 20 to 30 guests as well as grand banquets, set in unique locations around the resort. Say “I do” amid the romance of our Temple Garden, which surrounds an ancient temple that has long stood on this site, and is a unique feature of the resort. For a touch of cool sophistication, bask in reflections of love around the Beach Bar Pool, framed by panoramic ocean views. If the height of privacy is preferred, celebrate your union in the resort’s spacious 811 sqm Penthouse suite, whose exquisitely designed interiors open out to a large outdoor terrace with an 18 sqm private pool, sundeck and entertainment area. A truly spectacular venue, whose lofty perch also ensures the most amazing views. 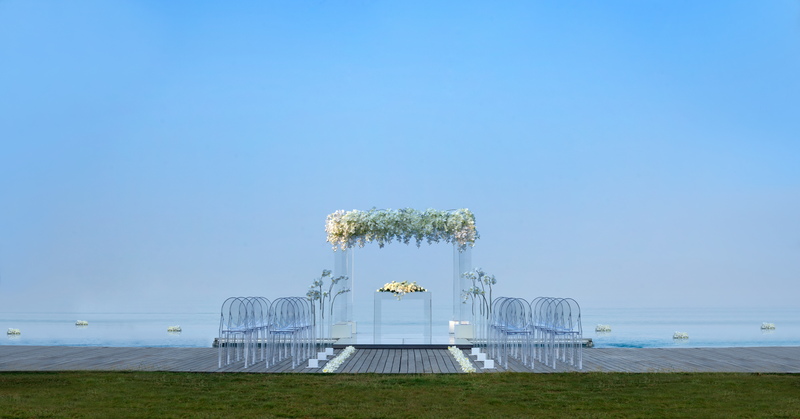 Last but not least, our elegant, modern Event Centre caters to celebrations on a grander scale, offering uniquely tailored settings that can accommodate up to 200 guests for a seated banquet or beachfront catering for up to 350 guests. For enquiries, please email seminyakevents@alilahotels.com or call +62 361 3021 888. Alila Seminyak is located on Bali’s south west coast on one of the island’s most pristine beaches. This beautiful, and elegant beachfront resort is connected by shimmering pools cascading from a stunning backdrop of vertical gardens. Set in the undeniably hip side of Seminyak, the resort is a hub for those who want to explore this lively part of Bali.